SketchUp users should create the walkthroughs in SketchUp models as it will help to move the model continuously even with turns and corners by giving it smooth steps. Aidan Chopra was a beloved member of the SketchUp team for 10 years; he is the creator of SketchUp Blog where SketchUp members and professionals share their new designs and tells some tips and tricks to design various designs that help users a lot. 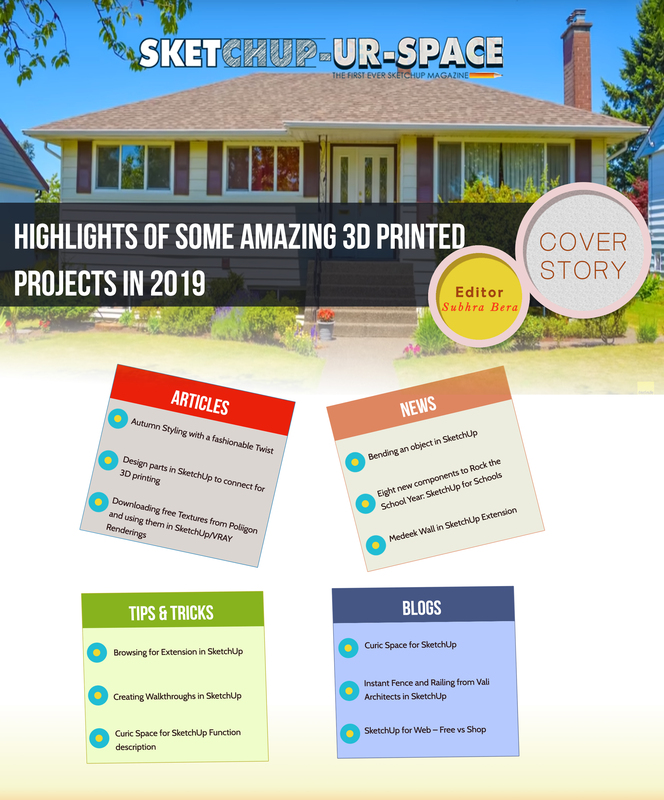 This Blog has attracted huge number of people and helps them to know more about SketchUp tools and extensions, moreover that users can now easily use SketchUp in their everyday life. Aidan also taught countless classes on SketchUp, he authored the SketchUp for Dummies Book.